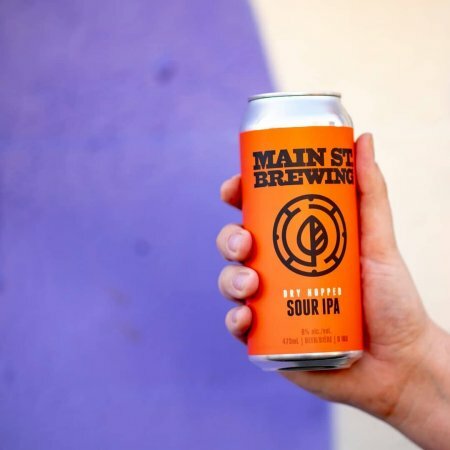 VANCOUVER, BC – Main Street Brewing has announced the release of a new limited edition beer. A twist on a North East IPA, this zero-IBU IPA is kettle soured for a crisp refreshing finish. There are no hops added in the kettle, but big fermenter full and dry hop additions bring a tropical, citrusy hop punch. Oats and wheat give this beer its well rounded body and mouthfeel. Dry Hopped Sour IPA will be released tomorrow (March 21st) in 473 ml cans at Main Street Brewing and select private liquor stores.